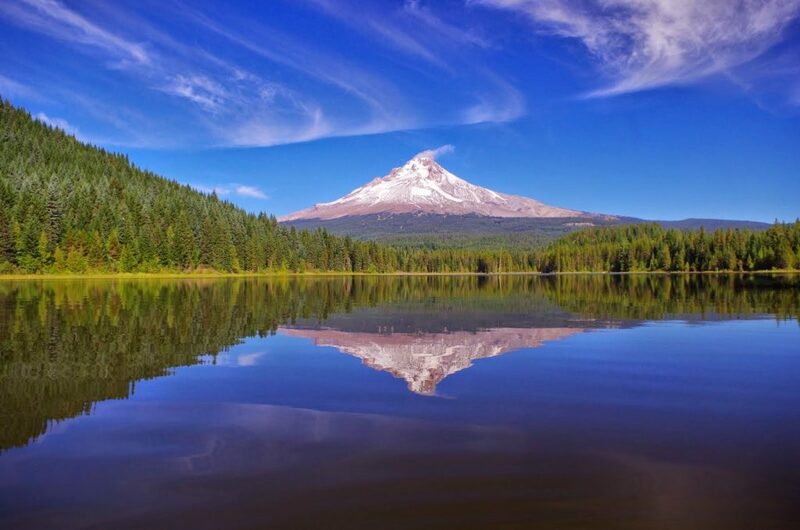 With waterfalls, dense forests, rocky coastlines, rare plants and animals, dormant volcanoes, snow and ice capped peaks and stunning mountain landscapes, it is easy to fall in love with everything Oregon has to offer. 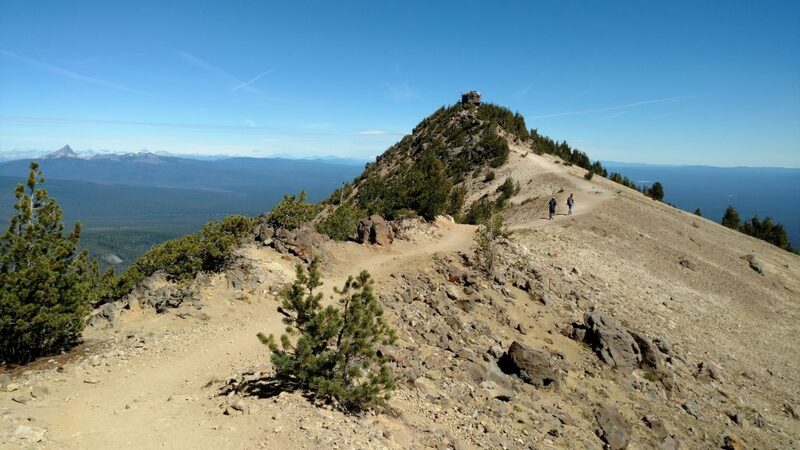 From short day hikes suitable for the whole family to rugged and strenuous treks to its highest summits, Oregon is a paradise for outdoor enthusiasts. Plus, the unique ecological and geological environments that span the state make every hike unique. Whether you’re looking for a quick jaunt with the dog or want to take a weekend trip out into the woods, there is something for everyone. Download the handy Hiking Project mobile app to your phone to help you navigate these best community-rated hikes on Hiking Project. This hike is located in Mount Hood National Forest just south of Mount Hood, near the Government Camp area. Given that Government Camp is only about an hour from Portland and boasts an abundance of activities, it is a popular destination for families looking to escape city life for the day. With shops, restaurants, bungee jumping, zip-lining and miles of trails for hiking and biking, there is plenty to occupy a family for the day, so long as you don’t mind the potential crowds. The Trillium Lake Day Use Area is a Forest Service managed day-use recreation site and campground and requires a fee of $5 a day per vehicle or a valid Northwest Forest Pass. The Trillium Lake area may be a bit busy on warm summer weekends, and for good reason—the picturesque setting, stunning views and mellow grade make the Trillium Lake Loop Trail one of the most enjoyable hikes in the area. With abundant wildlife and a unique setting, kids will love heading out on this trail. Starting from the parking area near the dam, head north on the trail along the east side of the lake. As you head towards the campground, you’ll pass a fishing platform and boat launch. You’ll weave through the campground (be respectful of the folks camping there) and after passing another boat launch, head left toward the lake to find the trail again. This will take you past the amphitheater and a few more campsites. As you leave the campground, you’ll traverse marshy land and wet meadows via boardwalks which are mostly in good shape, though there may be a couple damaged or sunken spots to look out for. Take your time rounding the north end of the lake as there are some great birding opportunities. After passing Trillium Bike Trail, the path begins to wind in and out of the trees and meadows as it heads toward the dam. Follow the dam back toward your starting point. Be sure to stop and take in the views of Mount Hood as you cross. Or if fishing is your forte, drop a line into the lake to try to catch some rainbow trout while taking in the views. The Cascade-Siskiyou National Monument is managed by the Bureau of Land Management Medford District in southwest Oregon and is one of the United States’ National Conservation Lands. The monument is nestled at the convergence of three mountain ranges, resulting in varied and unique terrain. Established in 2000 specifically to protect the biodiversity of the region, the monument itself is still relatively young; however, the area was a thriving cornucopia of biological and ecological diversity long before it was officially protected. Visitors can hike, fish, hunt, view wildlife and ski within the monument. 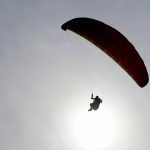 If you’re looking for a bit more guidance and information, the Friends of Cascade-Siskiyou National Monument hosts a series of events, surveys and hikes. The trailhead for Grizzly Peak is technically open year-round but the road may be closed in the winter by snow or fallen trees before road maintenance resumes for the season. The parking area is a bit small, only allowing for 8 to 10 cars, and since this trail can get busy on the weekends, parked cars often stretch down the access road. 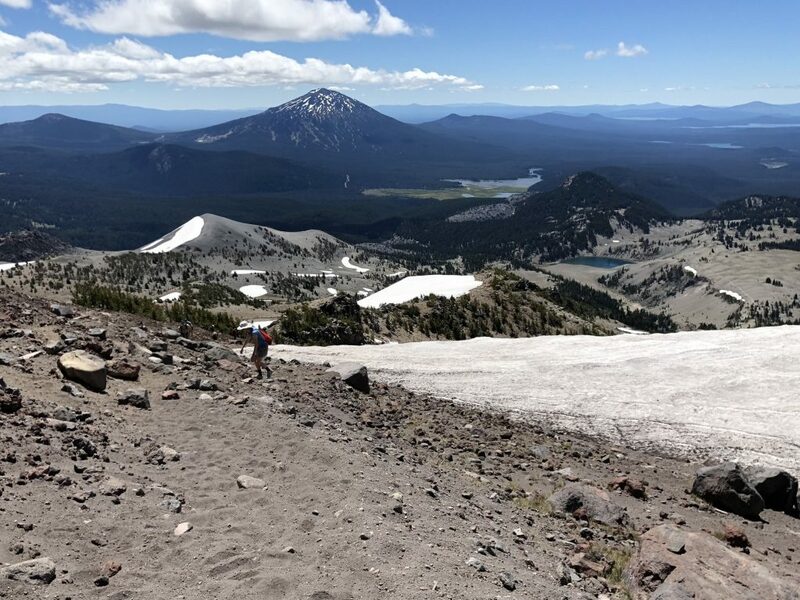 Right from the get-go, there are great views—on a clear day, before even leaving the trailhead you can see Mount McLoughlin and occasionally the Three Sisters. From here, the trail dives into the forest and switchbacks up through a lush understory awash in wildflowers in the spring and summer. After about a mile, the trail splits and you’ll turn right to follow the loop counterclockwise. About 0.3 miles from the split you’ll pass the viewless and forested summit of Grizzly Peak—if you blink you might miss it. Don’t fret however; as you continue on, you’ll pass through some open meadows and once you pop out of the trees about 2 miles into the hike, you will be struck by expansive views thanks to the East Antelope Fire that swept through the area in 2002. Continue through the burned landscape to the southern edge of Grizzly Ridge and you’ll be met with more sweeping vistas including Mount Shasta, Pilot Rock, Mount Ashland and the towns of Ashland and Medford. After enjoying the scenery, follow the trail north, continuing the loop as you dip back into the forest. About 3.5 miles into the hike is a short turn-off to one last viewpoint. From there continue to the main junction and stay right (or straight) to follow the path back to the trailhead. As long as you’re in the Cascade-Siskiyou National Monument, it’s worth the time to swing down to the Soda Mountain Wilderness. As a wilderness area, this region is not open to mechanized activities which keeps the area quiet and pristine. Pilot Rock is one of the most recognizable features in the wilderness and is visible from the Shasta Valley and parts of the Rogue Valley. Its prominent rocky summit acted as a beacon for migrants traveling on the Applegate Trail in the 1850s, and still serves as a landmark today. The feature itself is the remnant of a magma tube that fed an ancient volcano. The magma never reached the surface, instead cooling underground into rock that was harder and more resistant to weathering than those surrounding it. Extensive erosion of the surrounding rocks eventually exposed the rocky outcrop that is visible today. If you are interested in ascending to the top of the Pilot Rock during your hike, know that the area around the rock is closed annually to protect Peregrine Falcon nesting areas from February 1 to July 30; consider this when planning your trip. The trailhead is located at an old quarry which is now used as a large parking area. Be aware that the road leading to the trailhead can be a bit rough for low-clearance vehicles. From the parking area, follow an old road, rebuilt as a trail, as it ascends through the forest. After about 0.8 miles, you’ll reach the junction with the Pacific Crest Trail (PCT); take a left to follow the PCT a short distance to a well-marked junction with the continuation of the Pilot Rock Trail. From here, the trail climbs steeply to the base of Pilot Rock. As you ascend, you may notice remnants of old and eroding use trails. Ignore these and stay on the newly (as of 2014) rebuilt and switchbacking trail. The Siskiyou Mountain Club put in considerable time and resources to make a more sustainable ascent to Pilot Rock and prevent further erosion. Once you reach the base of Pilot Rock, if you wish to climb to the top you must be comfortable on high, third class rock—the climb is steep and requires scrambling, caution and good dexterity. Head up the wide chimney and past a large chockstone. From here the grade eases a bit so the rest of the climb is a little less strenuous—remember, you will have to descend this section on the way back down, so you should be confident in your abilities. Only attempt this ascent if the rock is dry, as the volcanic rock becomes extremely slippery when wet. From the top of Pilot Rock, enjoy the 360-degree views of the Cascade-Siskiyou National Monument and surrounding area before heading back the way you came. The Columbia River Gorge National Scenic Area was established in 1986 in an effort to protect the resources, beauty and cultural history of the region. The land is managed and protected by the United States Department of Agriculture, Forest Service and the Columbia River Gorge Commission. The gorge was carved by massive floods and river erosion as the Columbia River flowed west from the Cascade Mountains to the ocean. The National Scenic Area encompasses a variety of ecosystems from arid hills, ranchlands and craggy bluffs in the east to lush, misty forests and abundant waterfalls in the west. With a vast array of recreational opportunities including fishing, biking, kayaking and hiking, to name a few, the Columbia River Gorge National Scenic Area is an outdoor lover's dream. Multnomah Falls Recreation Area is an incredibly popular region with over 2 million visitors each year. However, despite the potential crowds, it is worth the trip to see the impressive 620-foot tall Multnomah Falls. 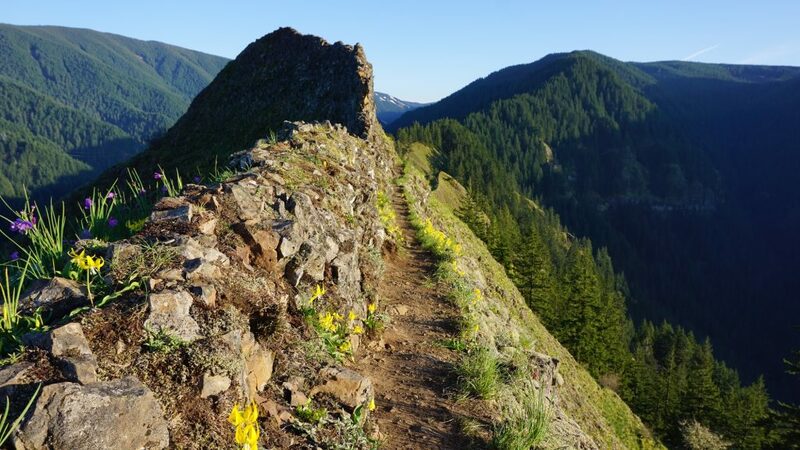 It is worth knowing that this area was impacted by the Eagle Creek Fire of 2017, but extensive work has been done to open trails and ensure they’re safe to use. Park at the Multnomah Falls Lodge to begin or alternatively, since the parking fills up on busy weekends, take the free Columbia Gorge Express shuttle up the gorge from Portland. The lodge is open daily from 9am to 5pm weather permitting and there is no fee to visit the area. You’ll start the hike on the Larch Mountain Trail #441, located to the north of the lodge. The trail here is paved and easy to navigate. It passes a popular viewpoint of Benson Bridge in front of both the upper and lower falls. From here, the trail ascends a series of switchbacks and after about a quarter mile, crosses Benson Bridge which offers even more stunning views of the upper falls. Continuing from here, the steepness of the grade keeps some of the crowds away as the trail continues climbing via a series of switchbacks. If you need a break, there is a bench after the first couple turns where you can sit, rest and enjoy a somewhat obscured view of the falls. Just a little over a mile into the hike, turn right onto the Multnomah Falls Overlook Spur #441A trail which takes you down a couple switchbacks and a stone staircase to a wooden viewing platform. Here, enjoy views of the falls, Columbia River Gorge, the lodge and Benson Bridge. Take your time heading back the way you came, as the steeper grade can feel a bit strenuous on the legs on the way back down. Crater Lake National Park is iconic. With its crystal blue waters, rugged and snow-laden caldera slopes, and lush pine forests painting the sides of the mountains, Crater Lake draws over 700,000 visitors every year. Due to its remote nature and that much of the park is inaccessible by car during the winter months, you’ll encounter fewer people than you would at other national parks. With outstanding viewpoints along Rim Drive, a remarkable geologic history and numerous hiking trails around, above and even into the crater, Crater Lake National Park is a must-visit destination. To access the trailhead for Mount Scott Trail, follow East Rim Drive to the east side of the crater. Near the turnoff for Cloudcap Overlook is a small parking area on the southeast side of the road. Keep in mind that this road is closed to vehicles in the winter—usually from November 1 at the latest to mid-June or mid-July. The well-marked Mount Scott Trail leaves the southern end of the parking area and passes through a rather flat meadow. After wrapping around the base of the mountain, the trail slowly climbs through the forest. The trail gets a bit steeper before it reaches a ridgeline and turns northwest up the mountain. The now switchbacking trail ping-pongs between two ridges as it ascends to a fire lookout at the summit. Here, at 8,929 feet on the summit of the tallest peak in the park, the views are sweeping and awe-inspiring. You’ll be able to see all of Crater Lake and the surrounding area. Take your time enjoying this spot and talk to a ranger—if one is staffing the fire tower—before descending to the trailhead the way you came. Mount Hood Wilderness is home to the iconic Mount Hood, Oregon’s highest summit. The glacier-laden dormant volcano rises above the evergreen forests, as the glacially fed rivers pour downhill, forming stunning waterfalls. Wildflowers adorn the landscape in the spring and summer, brightening up the trail. From May 15 to October 15, a self-issued permit is required to enter the wilderness, and must be on your person throughout your trip. Make sure you are aware of the special restrictions in place for the Mount Hood Wilderness in addition to standard wilderness rules. The access road to the trailhead for the Ramona Falls Loop is gated in the winter once there is more than a foot of snow, and a Northwest Forest Pass (or other valid parking pass) is required to park at the trailhead from May 15 to October 1. Begin this hike heading east from the trailhead on the Sandy River Trail #770. As you wind up the Sandy River Canyon, you’ll be traversing through the Old Maid Flats, a mudflow from the Mt. Hood eruption in the 1780s. Because the river is constantly eroding the landscape, the Forest Service is continually rerouting this trail to avoid steep drop-offs and cliffs. Remain on the trail at all times and double check you are not venturing onto old paths. After a little over a mile, you will cross the Sandy River. There was once a seasonal bridge to make this crossing easy, but due to the migrating river, the bridge is no longer there. Hikers will need to use extreme caution and follow the guidance on the river crossing safety signs. Generally, when water levels are low, it is easy to ford the river; however, water levels tend to rise in the spring and afternoons when rising temperatures melt snow at higher elevations. If you try to use downed logs to cross, keep in mind that they can be unstable or loose and may not be safe. After crossing the river, you will reach a junction with the PCT. Take a right to follow the PCT southeast along the north ridge of the Sandy River Canyon as it climbs gradually through the forest. About 3 miles into the hike, you’ll reach the junction with Timberline Trail #600. Follow this trail as it climbs to the highest point of the hike and the stunning Ramona Falls. When you get to the falls, the best place to take photos is from the bridge. Since this is a wilderness area, it's best to stay on the trail in order to avoid damaging this sensitive area in an effort to get a photo. Keep in mind the falls can be quite crowded in the summer, and if you’re looking for solitude, you can usually find a quiet place along the creek to have a picnic. From the falls, continue on the Timberline Trail briefly before staying left at the junction onto Ramona Falls Trail #797. This trail descends through the forest adjacent to Ramona Falls Creek—this section can be a little wetter than the other side of the loop. Once you reach the junction with the PCT, turn left to follow it briefly south toward Sandy River Trail. A right at the junction with Sandy River Trail will take you back to the trailhead. 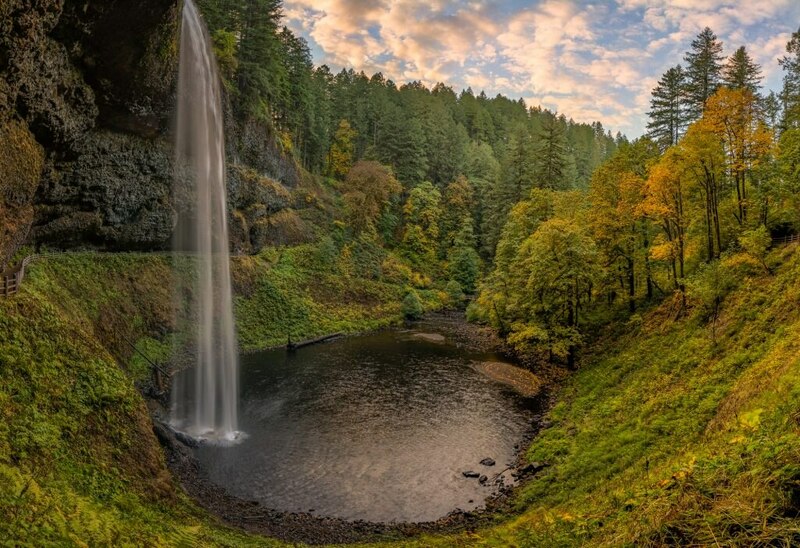 Silver Falls State Park is a spectacular treasure, laden with trails, scenery and waterfalls. The park is often referred to as the “crown jewel” of the Oregon State Park system, and is extremely popular with both locals and tourists alike. There are plenty of camping opportunities if you want to make a long weekend out of your visit, and with so much to do in the park, it is well worth your time. There is a day use fee for the park or several park permit options to select from if you’re interested in visiting often. The park hosts events such as Owl Prowls and birding and wildflower festivals throughout the year, which are great opportunities for the whole family. Weaving its way through the entirety of Silver Falls State Park and offering access to all of the area’s waterfalls accessible to hikers, this walk is the hike mostly often recommended by the park. Begin the hike at the main parking area for the South Falls Day-Use Area. From here, head north on the South Falls Walkway to overlook the falls and shortly turn left onto Canyon Trail. The trail loops down to the base of the 177-foot tall South Falls crossing a very picturesque bridge. If you have the desire to explore, there is a trail that loops behind the falls, passing a small cave. From here, the trail heads north winding along the South Fork Silver Creek. About 0.8 miles in, you’ll descend a set of steep stairs to reach Lower South Falls. You may want to put on your raincoat here, as the trail dips behind the falls and the mist could leave you a bit damp. The trail turns east at the junction with Maple Ridge Trail and parallels the North Fork Silver Creek as it continues east. It ascends through the forest, and just before reaching the Lower North Falls, it crosses the creek. Shortly after passing the Lower North Falls you will pass a turn-off for Double Falls Trail. Take this short detour to see the double-tiered falls. Continuing on the Canyon Trail, you will pass Drake Falls followed shortly by Middle North Falls. Here, there is another option to hike behind the cascading water. At the junction with Winter Trail, turn right to take a quick out-and-back visit to the 134-foot tall Winter Falls. In the spring this one will really be flowing, but by summer it tends to dwindle down to a trickle. Once back on Canyon Trail continue heading east. After only about 0.3 miles you reach both the Twin Falls Trail and Twin Falls. Continue following the creek, then loop behind the 136-foot tall North Falls, and climb a series of steep stairs just before the trail terminates at the junction with Rim Trail. Turn left onto the Rim Trail, pass the parking area along the highway and continue following the creek via a rather flat trail until it terminates at Upper North Falls. After taking in the scenery, turn around and head back down the Rim Trail, this time continuing west at the junction with Canyon Trail. The trail parallels the highway as it winds along through the forest before passing above Winter Falls. Here, it turns south and begins paralleling the bike path. When you reach Parking Lot A, continue straight to link up with South Falls Walkway, then take a quick left onto Parking Lot Connector to get back to your starting point. Established in 1974, the Cascade Head Scenic Research Area was the first non-wilderness area in the United States set aside for the protection of its ecological, scientific and scenic values. The area encompasses fields, forests, meadows, estuaries, private land and public lands. In 1934 the establishment of the Experimental Forest helped to solidify the preservation of this area, and since then, it has been designated as a United Nations Biosphere Reserve. Not only does this designation protect this area for future generations to enjoy, but it also protects critical habitats for rare wildflowers and animals such as the Oregon silverspot butterfly. If you plan on hiking here, be aware that many of the trails, including this hike, are closed from January 1 to July 15 every year. This out-and-back hike is in a truly unique setting. The dense forests, open meadows and stunning ocean views create an ethereal ambiance that is juxtaposed with the rugged nature of this 14-mile hike. Begin from the Knight Park Trailhead parking area off North Three Rocks Road. You’ll head north on the Nature Conservancy Trail which immediately climbs through dense forest up along the bluffs over the river and heads toward the coast. The trail crosses small footbridges as it passes through drainages and ascends some rather steep grades (some modified with log steps). After about 1.5 miles, the trail emerges from the forest and you will be treated to ocean views as you wind along the southern end of Cascade Head over the Salmon River Estuary. From here, the trail ascends the ridge via steep switchbacks, but the views will hopefully help offset the strain of the climb. Near the top of the hill, about 2.5 miles into the hike, you will dip back into the forest. This segment of the trail ends at National Forest Development Road 1861. Here, turn left onto the road and follow it for about 0.8 miles to Hart’s Cove Trailhead. Take Hart’s Cove Trail, a well-maintained singletrack, as it descends some steep switchbacks above the drainage. The trail levels off once it reaches Cliff Creek which it parallels for a ways before crossing via footbridge. As the trail nears the ridge, you’ll begin to hear the telltale sounds of the ocean and you may think you’re about to the end—don’t be fooled. The trail switchbacks inland, descending slightly to cross Chitwood Creek. This section of the trail can be quite rocky, rooty and wet, so watch your footing as you progress. Finally, when you emerge from the forest near the end of the hike, you are greeted by expansive views of the area. Follow the trail for the last short, but steep, descent toward the bluff where you will have views of the ocean, Hart’s Cove and a small waterfall. Enjoy a well-earned rest and a picnic, if you brought one, before returning the way you came. Located in the Columbia River Gorge, a few miles northeast of Multnomah Falls, is a rugged hike that only more advanced hikers should tackle. Though the views are incredible, the trail is narrow, the fall potential is high and it is not worth risking if you are not prepared for the challenge. There are sections of class three scrambling and exposed terrain, and a fall would result in serious injury or worse. It is important to note that although dogs are technically allowed, you may not want to risk bringing them on this hike. The last section is steep and challenging, and dogs likely won't be able to make it up. Start this hike at the John B. Yeon Trailhead and take the Gorge Trail #400, heading northeast. There is a slight climb to start off, but most of this section is fairly level. About three-quarters of a mile along, you will pass the base of Elowah Falls, a picturesque ribbon of water cascading over a cliff on McCord Creek. Continuing on, stay right where the trail briefly merges with Historic Columbia River Highway State Trail, and right again where they split. After about 2 miles, stay right again to continue on the Gorge Trail and cross Moffett Creek. Shortly after this, turn right at the junction with Munra Point Trail to begin the more strenuous part of the hike. This section is generally unmaintained, and a sign nailed to a tree shortly after the beginning will tell you as much. About a quarter of a mile along this trail, the grade steepens in earnest and you will start scrambling along the ridgeline. You are mostly in the woods here, but there are open spots with some stunning views of the river below. Just before the summit is a section of class three or four scrambling. There is a fixed rope to help navigate, but it would be unwise to rely on this to prevent a fall. Munra Point is a basalt knob that emerges from three converging ridges. You can climb to the top of the point to have amazing 360-degree views of the gorge and surrounding area, but the route is steep and unforgiving. A fall here would be rather devastating. Again, it is not recommended to do this section with dogs. If you’re comfortable with knife edge terrain, you can continue along the ridgeline south to get a different vantage point. When you’re ready, turn around and head back the way you came. When you reach the Gorge Trail, turn left and once you reach the first junction with the Historic Columbia River Highway State Trail, take a right to follow the more mellow paved path back to the trailhead. The Three Sisters Wilderness is located within both Deschutes National Forest and Willamette National Forest. The area has an exhaustive trail system that winds through beautiful glaciated terrain and includes the high peaks of North, Middle and South Sisters, glaciers, interesting geologic features, lakes, forests, meadows and waterfalls. It is a stunning place to spend a weekend camping and day-hiking, or head out on a backpacking trip to really experience this wilderness area. A free self-issued permit is required to enter the wilderness from Memorial Day through the end of October, and the permit must be on your person the entire visit. Make sure you follow all wilderness rules and any special regulations that apply to this particular wilderness area. Start at the Devils Lake Trailhead where there is a fee to park if you don’t have a valid parking pass. The South Sister Climber Trail #36 heads north to cross the Cascade Lakes Highway. After crossing the highway, stop and register at the permit kiosk and pick up your free wilderness permit. The trail immediately starts climbing, ascending the drainage through the forest. A couple miles along the trail, you will pop out of the dense forest onto the ridgeline. The grade of the trail will ease as you pass Moraine Lake Trail and you’ll wind along the open landscape where you can enjoy the views, including one of the South Sister summit. There are side trails that wind down to Moraine Lake if you would like to take a detour, otherwise, continue following the ridgeline up. A little over three miles into the hike, the climbing gets progressively steeper. There are fewer trees as you ascend the ridge, and the views become more expansive. You'll think you’re almost at the end as you ascend a very steep section, however, this false summit only puts you at the base of Lewis Glacier. From here, skirt the west edge of the glacier to follow the ridge up. This last section is brutally steep and filled with loose rocks—take your time along this part. Before long, you’ll reach the fairly level rim of the crater and head toward the true summit. The views from the South Sister summit are spectacular and well worth the effort. Depending on the day, it could be a bit too cold and windy to sit up top for long and you might choose to rest and picnic farther down the trail on your way back. To return, follow the same path back to the trailhead.